Remember to wash the potato slice well to get rid of all the starch. Rinse sweet potatoes slices ell with cold water several times to remove starch. Soak the sweet potatoes in water with 1 Tsp. vanilla extract for 3 hours. Remove from water and arrange in single layers on dehydrator racks. Sprinkle with salt and pepper. Dehydrate for at least 24 hours – the longer the better. 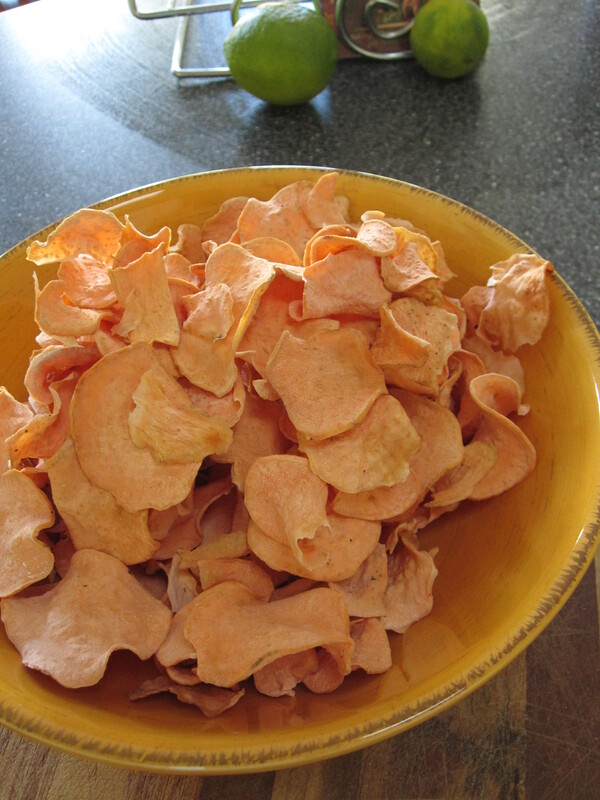 Store the crispy chips in a sealed container.